Many a time, you find yourself in a situation where you need to convert your image file or document to any editable format like a Word format. A file could be anything, your important college assignment, a piece of poetry, or a business project. The problem arises when you do not get any option to copy and edit the text from the image file or document. A text could be lengthy and consider to type the whole stuff from an image file means you cannot do any other task for one or two days. Well, every cloud has a silver lining. You all know that technological advancements have made life simpler, easier, better and faster. A technology called OCR (Optical Character Recognition) is specially invented to the electronic conversion of documents and images of printed text into machine-readable text. OCR technology easily recognizes the characters mentioned in the text. Many people are already using software, developed by the OCR technology. If you are not aware of it, you do not need to worry. You can get much software online or in the market, but you never know which would be the best? Take a deep breath because here you will definitely get the solution. 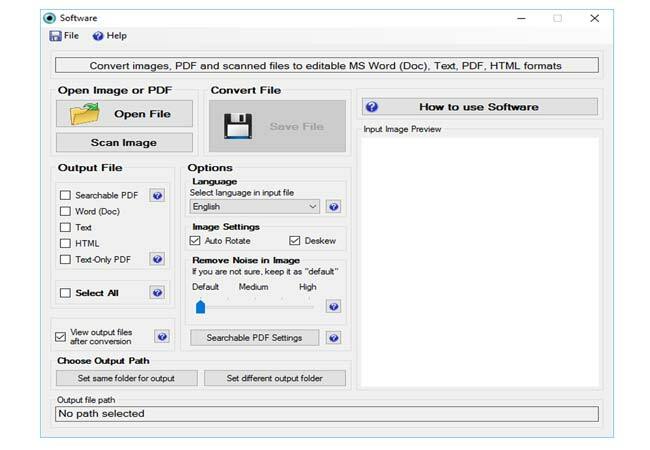 There is a software available JPG to word Converter at the company Soft solutions that are specifically designed to do the conversion of files with a simple process. Moreover, it has so many features which you should know before opting it. Auto-Rotate and Auto-Skew: This software is efficient of auto-correcting and auto-detecting the characters and of orientation, skew, tilt, and rotation in all the file formats and images. Preserve Original Format: The JPG to Word Converter precisely preserves text, graphics, tables and the layout of single and multi-page documents. You get incredible results using this software. Never think about the side effects of converting your multiple page document. Support Many File Formats: The JPG to Word Converter supports all the file formats such as BMP, PNG, TIF, JPG as well as all the document file formats. The software provides more than five types of output format, including Text-only, PDF, HTML, DOC, and even the searchable format. The software is capable to recognize text from PDF files, scanned documents, or images. The text is then digitized into an HTML, text, Word Doc. Protection of Files: It offers security for your image file, including the password protection and the watermark feature. It prevents your document from the illegal distribution. You can watermark it or protect from accessing it by encrypting it with an exclusive password. It will help you a lot in ensuring that no one makes a copy of the document without your approval. Support Multiple Languages: This software supports over 40 languages including German, Spanish, Italian, Greek, Lithuanian, Afrikaans, Russian, Ukrainian, French, Luxembourg, Finnish, Hungarian, Danish, Catalan, Scottish Gaelic, Bulgarian, UK English, Swedish, Galician, Albanian, Croatian, Serbian, English, Irish Gaelic, Macedonian, Estonian, Basque, Portuguese, Czech, Polish, Slovenian, Byelorussian, Romanian, Norwegian, Slovak, Turkish, Dutch, Brazilian and Icelandic You can conveniently choose your preferred language. If that is not sufficient, the JPG to Word Converter is able to convert all images, PDF and even text from the scanned documents back to the original language. 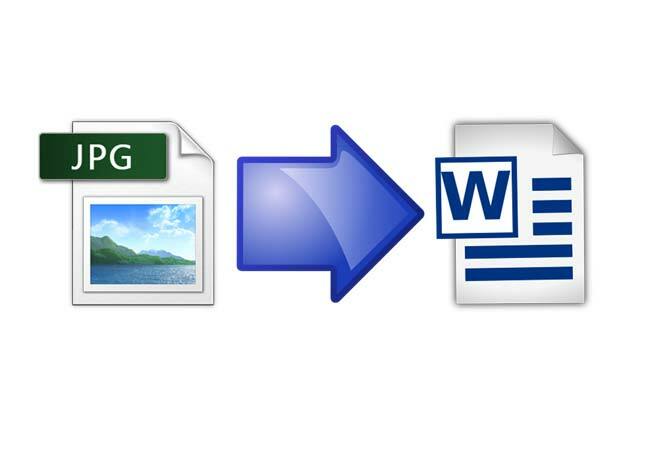 After knowing the features of JPG to Word Converter, it is time to learn the simple steps for converting the image file into a word document. After downloading it, you need to run the installation and set up the software. You will see yourself directed to the home page. you require to check over the left side of the software wherein you have to choose the file you are likely to want to convert. 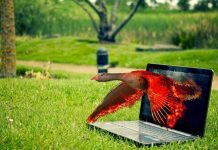 You can either choose a file which has been saved on your PC or laptop or even you can scan this file seeking the help of a device called a scanner. Now, it is time to choose the language for the given image file. All you need to do is to check the option from the drop-down menu where you can find the option “Language”. In this step, you have to select the output format of your image file. The option would be the natural one called the MS Word Document. Previous articleWhy Is Taking Care Of The Skin So Important?